At 6am on 20 June 1837 in Kensington Palace, eighteen-year-old Princess Alexandrina Victoria was woken by her mother, Princess Victoria of Saxe-Coburg-Saalfeld, to be told that the Archbishop of Canterbury and the Lord Chamberlain wished to see her. Pulling on a dressing-gown, the young princess saw the two men alone in her sitting-room. 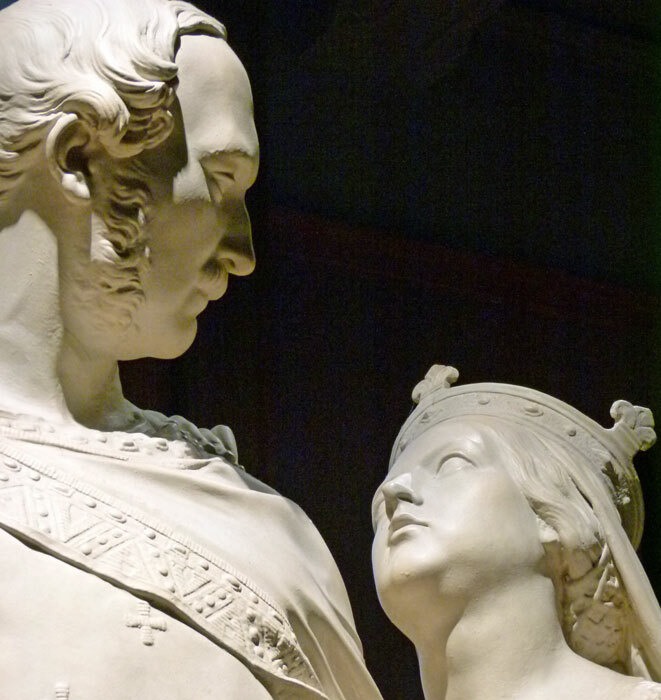 They told her that her uncle, King William IV, had died earlier that morning and that, consequently, she was now Queen. So began the 63-year reign of a tiny (she was barely 5 feet tall), lively and intelligent young woman who would lend her name to an entire era. And what an era it was. For most of us, Victorian Britain was the land of our great and great-great-grandparents. It was a country that changed more drastically in their lifetimes than at any time previously. The pre-industrial hierarchical society was being gradually nudged aside, to be replaced by a new one in which, by the time the old Queen died in 1901, we can see something of ourselves. In 1901, our ancestors would recognise the term ‘public opinion’ and take it seriously. Though even then far from being a property-owning meritocracy, the principles and aspirations of today were being laid in instalments during Victoria’s reign. In 1873, all land in Britain was owned by just 4.5% of the population (that is to say that 95.5% owned nothing); in the 21st century, 70% of the population at least has as stake in their own land – though the vast majority of land is still owned by a tiny minority (but that’s another story). One of the most obvious changes that took place in Victorian times was the stupendous rate of urban growth, accompanied by a dramatic increase in overall population. Between 1801 and 1901, the population of Great Britain grew from 10.69 million to 37.09 million (15.9 to 41.54 million for the United Kingdom, including Ireland). Britain’s towns and cities spread, swallowing up surrounding villages and countryside. Birmingham grew from 71,000 people in 1801 to 760,000 a century later; Glasgow from 77,000 to 904,000. It was a similar story for every major industrial area, such as Liverpool and Manchester. Whilst Britain’s older cathedral cities, like Norwich and York, expanded too, the pace of growth there was nowhere near as great. Looking at a map of London published in 1822, places like Kilburn and Hackney are still villages; by 1876 they have been engulfed. London grew from a population of 1.117 million to 6.586 million between 1801 and 1901. The economic and social revolution that had begun in the previous century accelerated with the coming of the railways in the 1830s and the ‘railway mania’ of the 1840s, when thousands of miles of track were laid. By the end of the century, 18,680 miles of track facilitated the movement of goods and people to and from every corner of the land (railway tracks peaked at 20,265 miles in 1930). Some towns grew round railway stations, just as others before them had flourished around river crossings. It wasn’t only railways (and railway stations) that changed people and the landscape. 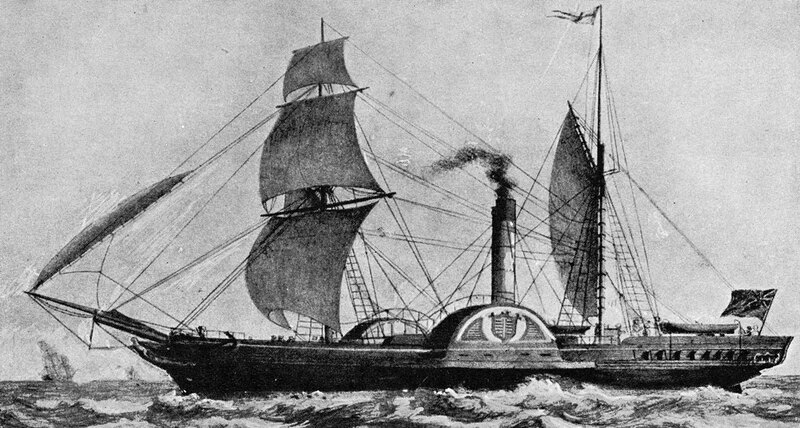 The Victorians embraced and exploited new technology and new techniques. Steam power revolutionised farm and factory production as well as transport. 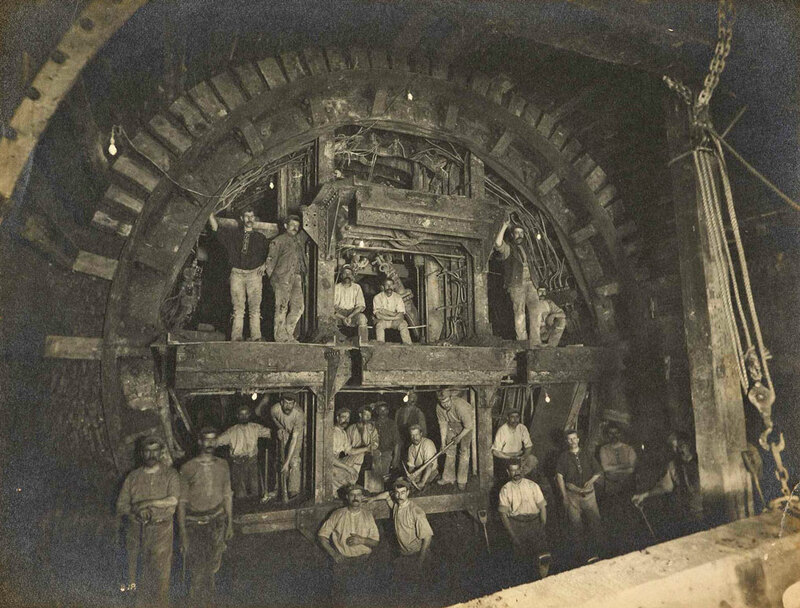 Under the direction of a new breed of engineers, great feats of engineering were undertaken – like constructing London’s Embankment, enormous sewage systems and the beginnings of the underground railway network. Huge bridges spanned rivers; massive steamships crossed the oceans; docks were rebuilt. The best known engineer of the day is probably Isambard Kingdom Brunel, whose works included the Clifton Suspension Bridge at Bristol, much of the infrastructure of the Great Western Railway – and the world’s first iron-hulled propeller driven steamship, ‘Great Britain’ (launched in 1843). The Victorians largely created today’s cityscapes – road layouts, housing, civic buildings, schools… Of course, much of the physical work necessary in construction projects relied on manual labour. And a good deal of that came from Ireland, particularly after the tragedy of the Great Famine of 1845-51. A blight destroyed much of Europe’s potato crop; in Ireland, the potato was the main means of subsistence for the majority of the population. It is estimated that 1.5 million people died in Ireland at this time; many more emigrated – to England, Scotland – and further afield, to North America and Australia. As Britain’s population soared, Ireland’s population actually reduced from about 8 million to around 4.5 million during Victoria’s reign. It is said that 10% of modern Britons have an Irish grandparent. Britannia had ruled the waves since the Battle of Trafalgar, with the world’s most powerful navy. Britain managed to avoid the level of serious social unrest that saw monarchies toppled in France, Austria and the Italian states. There was no necessity for war to create or consolidate a unified state as happened in Italy, Germany and the United States. Apart from the Crimean War of 1854-56, Britain also steered clear of European conflicts during Victoria’s reign, restricting itself to wars in defence of its opium trade in China, and its Empire in India and Africa, fought against technologically inferior opponents. The Victorian era also saw Britain becoming the world’s most powerful trading nation, with a massive increase in both imports and exports. Vessels built and registered in Britain dominated the shipping lanes. Asia, Europe and the United States were the principle markets for Britain’s exports of textiles, finished manufactured goods, equipment, iron, steel and coal, whilst a booming population increased domestic demand too. In time, Britain’s supremacy in the world would be challenged as other countries – like Germany and the USA – inevitably caught up. 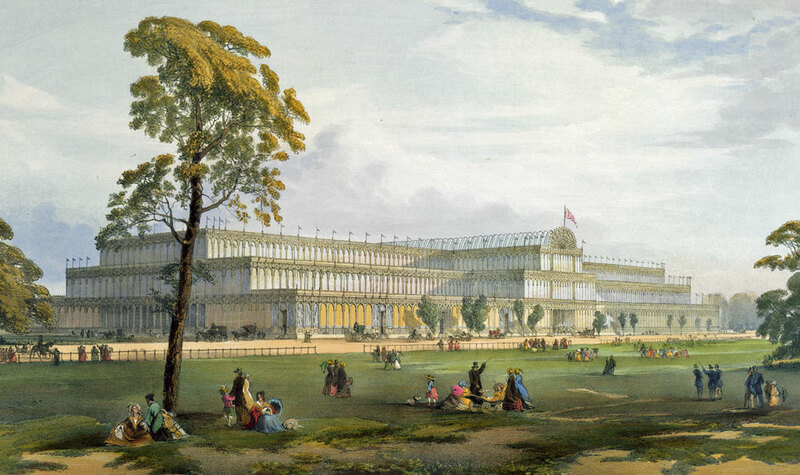 British goods, design and achievements certainly dominated the world’s very first international fair, the Great Exhibition held in Hyde Park in 1851 – an event championed by Queen Victoria’s husband, Prince Albert of Saxe-Coburg and Gotha. 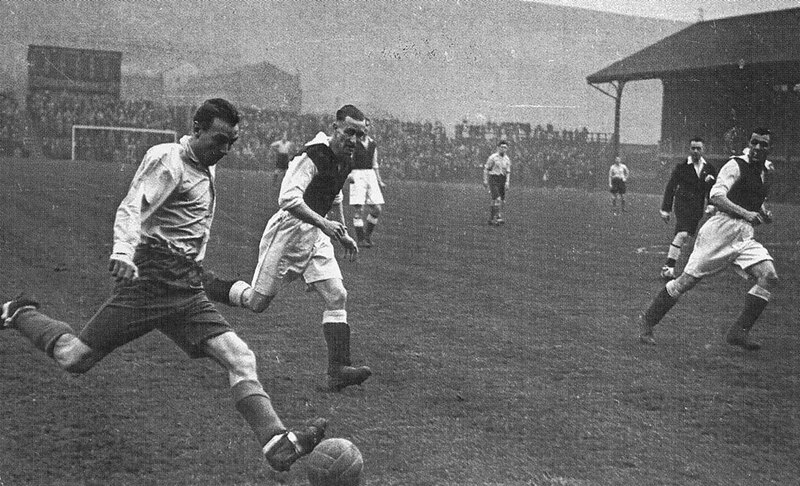 The legacy of the Great Exhibition includes three wonderful institutions – the Natural History, Science and Victoria & Albert museums – partly funded by profits from the Exhibition; it also left us with a south London park and a football team, Crystal Palace (founded in 1905). 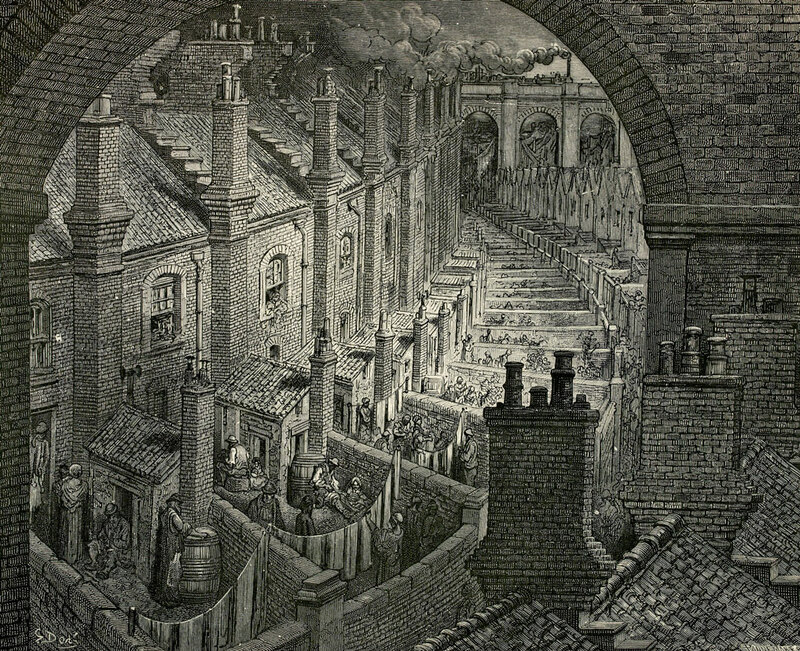 Victorian society is seen as highly stratified – a cake-stand with royalty, the aristocracy (including a new industrial elite) and the Church on the top tiers, supported by the professions and a growing commercial middle-class, with the heaving masses on the bottom shelf and, below even that, those that depended on the workhouse for their very survival. The Victorians are also associated with attributes such as duty, thrift – and having a strong moral code that could verge on the ridiculously prudish, like covering up indecent table legs (saucy little things, table legs). Margaret Thatcher said that “Victorian values were the values when our country became great.” Politicians often demonstrate a poor grasp of history. In fact, Victorian values existed cheek-by-jowl with a fair amount of extra-marital fornication and an enormous amount of exploitation. And ‘the prudes’ tended to come from the growing middle classes – as Baroness Thatcher did. Hypocrisy aside, by and large, the Victorians were also a patriotic lot. It was the height of Empire: got a problem in the world? – dispatch a Royal Navy gunboat to sort it out… What a great time the Victorian era was if you were British and could afford to enjoy it. Being British was wonderful – the best thing – one can almost imagine feeling jolly sorry for all those unfortunate foreigners who happened to be born something or somewhere else. And, even if it might be stretching it a bit to think that God was definitely British, few people would have doubted that English was the first language spoken in Heaven. Perhaps it still is, though it probably has an American accent at the moment; perhaps in time it will change to Mandarin, Hindi, or Spanish. Paradoxically, great wealth coexisted alongside great poverty and hardship in Victorian Britain. But, generally – and perhaps not very obviously if you lived in a Victorian slum or, worse, were consigned to the workhouse – standards of living did actually improve. More goods became available in shops – not only goods and consumables that would once have been produced at home or in the community, but luxuries too – and people were buying them. Everyone, including the working classes, was eating better by the latter half of Victoria’s reign; bacon and eggs became common breakfast fare for the middle classes. Though infant mortality was still tragically high, childbirth became easier with the introduction of chloroform. People were living longer too – partly because health treatment was better: Lister pioneered antisepsis in Glasgow, whilst Florence Nightingale (herself, ironically, a chronic hypochondriac) gradually helped revolutionise nursing. There are definite glimpses of the future in our Victorian past. In 1859, Charles Darwin published ‘On the Origin of Species by Means of Natural Selection, controversially challenging long-held religious beliefs, and the polymath Herbert Spencer coined the phrase “the survival of the fittest” – an enormously influential concept (and not always a constructive one). The 1880 Education Act made school attendance compulsory. Literacy was growing – as well as an understanding of the world; in 1896 popular journalism was born with the launch of the Daily Mail (by a self-made man, Alfred Harmsworth, who later became Lord Northcliffe). People started taking trips to the seaside – most of Britain’s remaining seaside piers are Victorian – such journeys made possible by the new railways that criss-crossed the land. Rail travel, of course, also accelerated the spread of ideas as well as people; Britain was becoming a much smaller place. Victorian Britain was a dynamic country at all levels; it was a time of restless energy that we might find familiar today. A good number of our institutions, from football and rugby clubs to trade unions (legalised in 1871), libraries, museums, charities and businesses, have their roots in Victorian Britain. Then there’s art and literature: J M W Turner, John Constable, Charles Dickens, George Eliot, Thomas Hardy, Bram Stoker, Wilkie Collins, the Brontës, Beatrix Potter, Lewis Carroll, Oscar Wilde, Robert Louis Stevenson, Rudyard Kipling and Arthur Conan Doyle are just some of the Victorians whose works are still universally enjoyed today. Actually, Victorian literature is all over our TV; the Victorians even, largely, invented our modern Christmas. It is impossible to avoid the legacy of the Victorians. The Queen-Empress herself lent her name to lakes, parks, roads, and railway stations all over the world and many of us are daily users of the buildings and streets that her subjects constructed. These people helped create our world – and are never that far away from us. If you don’t believe me, checkout the local cemetery.